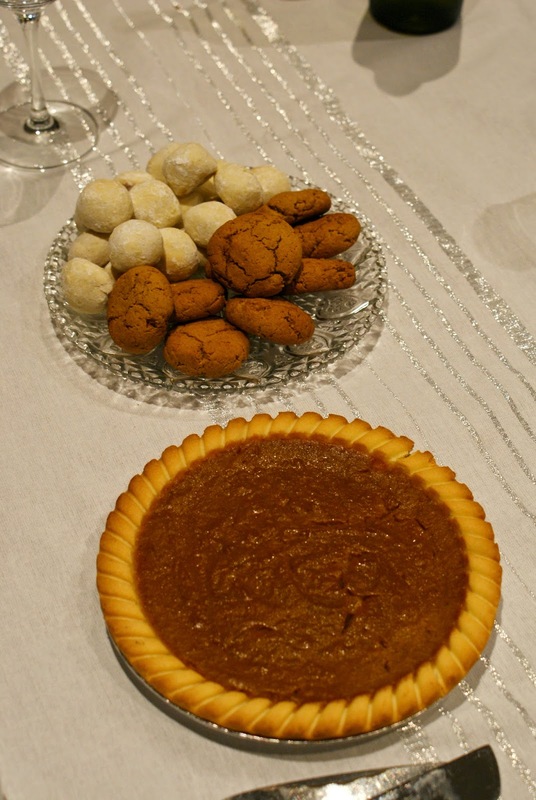 Southern In Law: A Belated Thanksgiving Dinner! Last night we had a (belated) Thanksgiving Dinner at home. There was so much delicious food and there is so much Jesse and I have to be thankful for. Our family and friends, who would give the shirts off their backs for us and who bring us so much joy. Our church, which allows us to share the Good News with so many people on a weekly basis and that encourages us to grow and share our faith. Our God, who is inexplicably awesome. This blog, which has given us so many incredible opportunities and so many amazing friends around the world. You, who read the blog and take the time to connect with us and share your stories and try our recipes. The beautiful country we live in together after so much time being apart. Great food and the joy it brings! We have so much more that we're thankful for, but I don't want to blab on all day and bore you to tears. But now for what you really want to know, right? The food details! Roasted chicken We didn't do turkey this year as we're limited on oven space and my Mama makes a mean roast chicken! Plus mini gluten free pies made with our Healthy Gluten Free Pastry Recipe! Which have become a family fave! Katrina's fave and one of my favourite Christmas cookies! We also switched on our Christmas Lights last night for the season and we've added even more lights so I cannot wait to share an updated pic with you! But tell me, if you celebrate Thanksgiving, how did you celebrate this year? 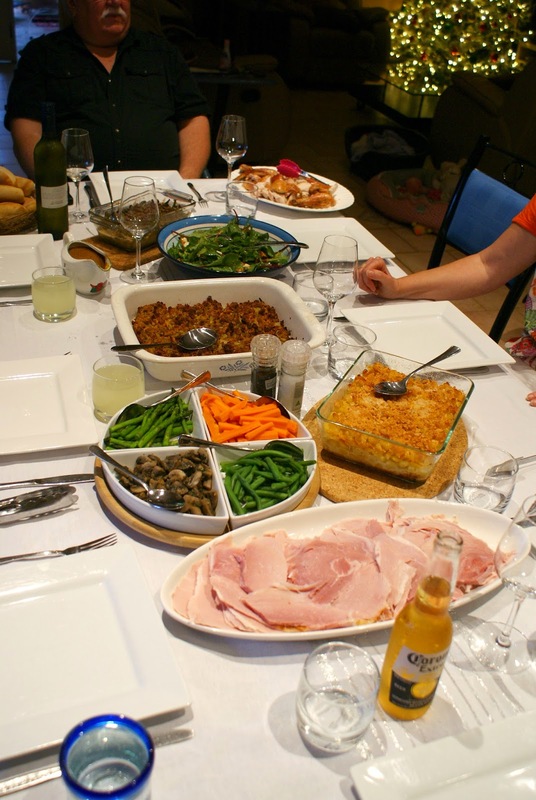 If you don't celebrate thanksgiving, what is your favourite dish to bring along (or eat!) at a dinner party? I'm always a dessert girl and love to bring along a sweet treat! I just recently moved to the US and had my first Thanksgiving with a bunch of ex-pats (and 2 Americans). Because we were mostly non-American I wouldn't say it was entirely traditional. I'm interested in your mum's pumpkin, feta and pinenut salad recipe! Beautiful dinner! I bet it made Jessie so proud ;) Keeping the American spirit! Sounds great, Cathy! Your entry is in our system, good luck! I'd love to try the "Healthier ham & cheese savoury crepes" - they make my mouth water just looking at them! Definitely the turkey parcels with twiggy sticks. These are two of my favourite foods! How can this be made without eggs? Hi Amber, you can't really make this recipe without eggs as they're what enable you to make thin light crepes, however, you may be able to google and find a vegan crepe recipe - I'm just not sure how they'd turn out.